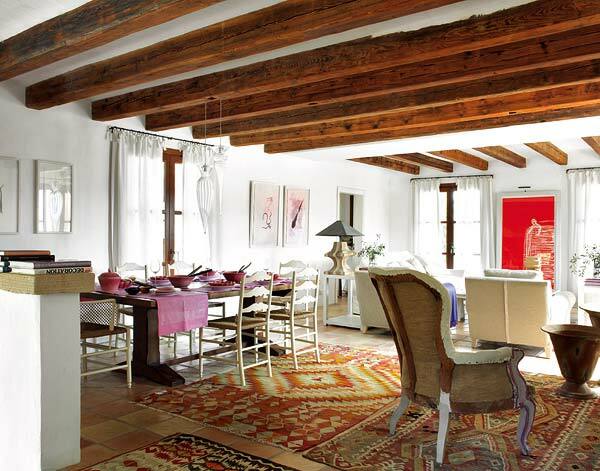 Stone, terra cotta, wood beams and an open plan, are the makings of this rustic house. 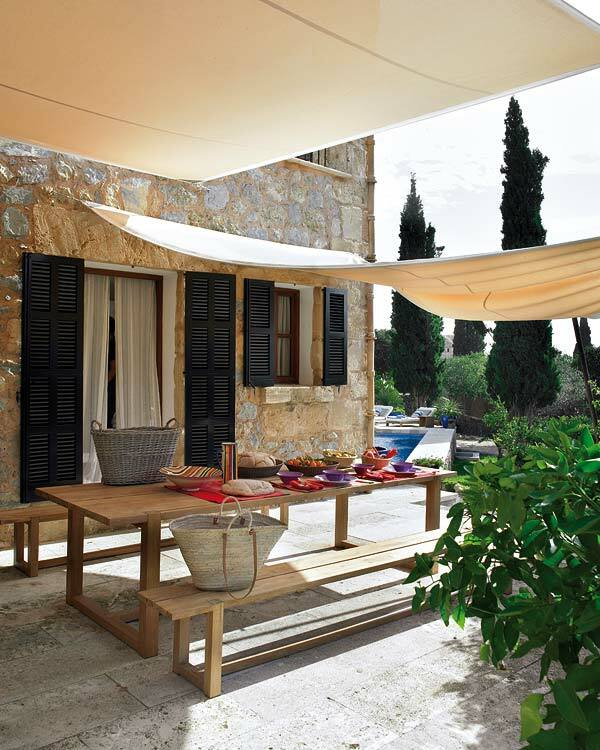 Located in Palma de Mallorca, the exterior of this home has a substantial amount of outdoor space, including an awning-covered dining area. 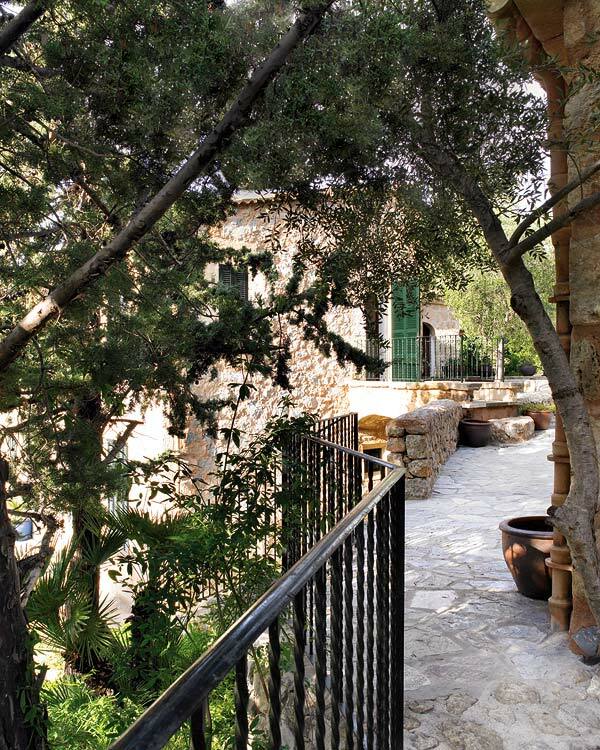 It has dark green shutters that look great against the stone and pick up the color of the surrounding nature. 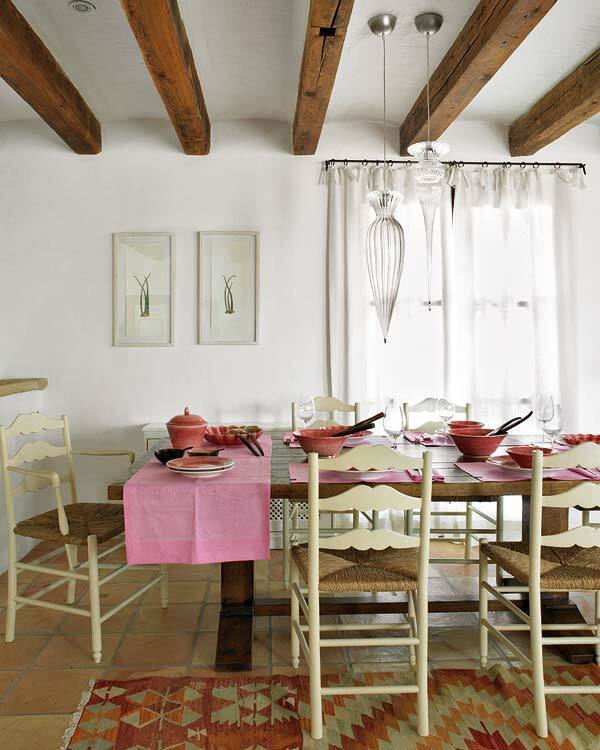 Terra cotta tiles are used for the flooring in this rustic house, and symmetrical wood beams line every ceiling in every room, including the bathroom. The sitting area has a stone fireplace with small artworks on the mantle. In front of the fireplace, there is a coffee table, and a brown, creme, and red chair. A light wood table with storage sits next to the fireplace. Mirrors, framed in dark gold detail, are placed neatly on the storage table. 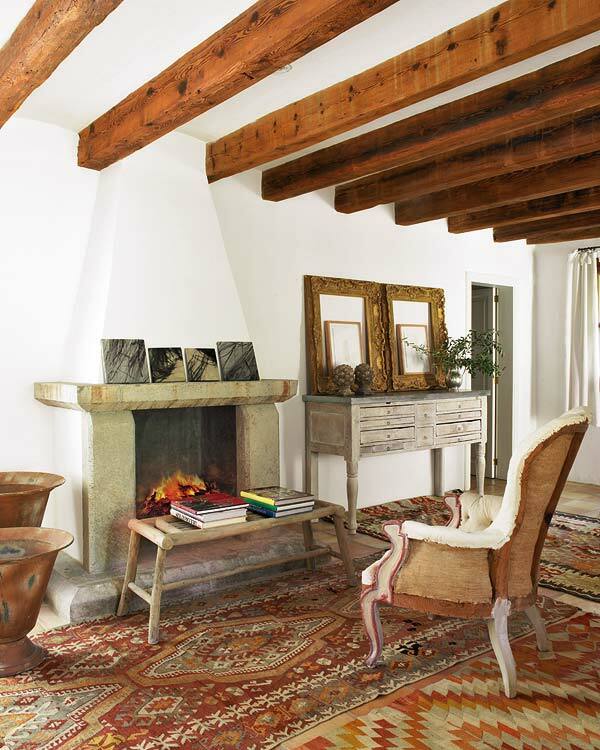 Warm, earthy colors are generously used throughout the space. 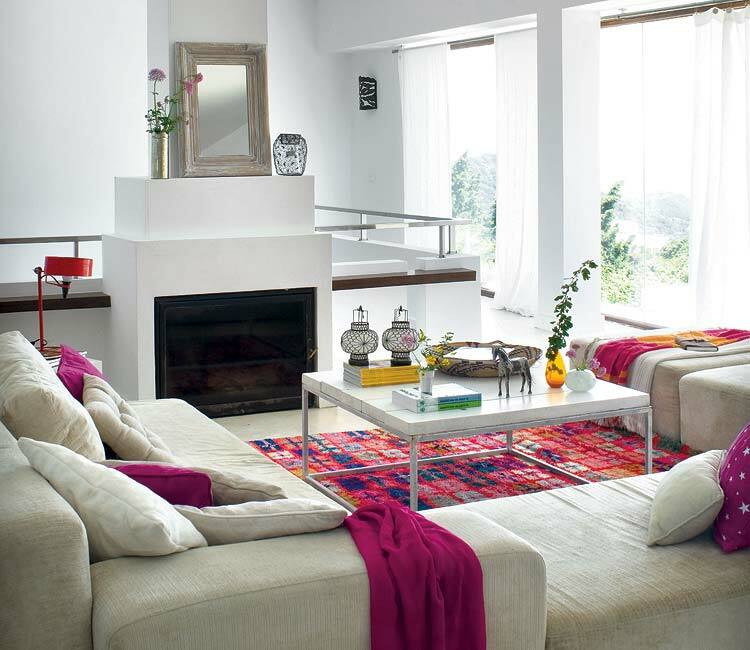 The living area has two white large sofas and two neutral colored chairs. 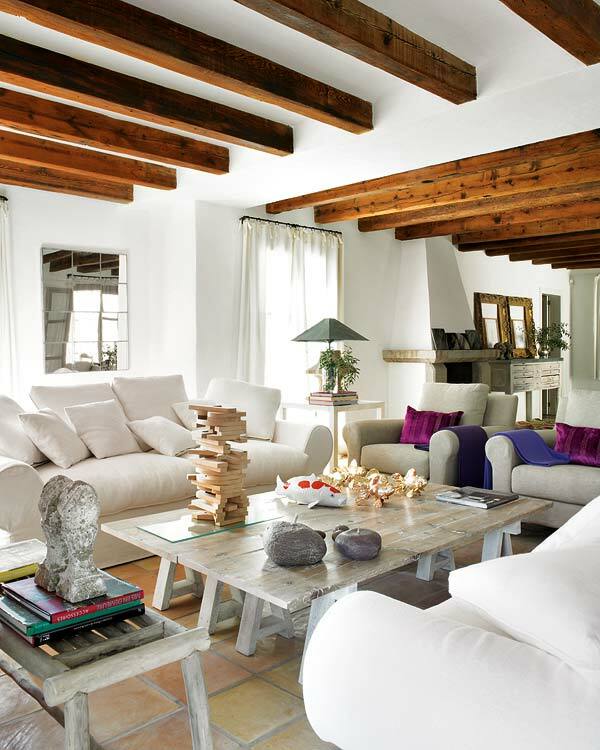 A white and pinewood table sits in the middle, and a purple pillow and indigo throw, are placed on each chair. The chairs are facing two large windows, with a bright red, modern painting, in the middle. The dining area has a large, dark wood table, with creme and wicker dining chairs. Above the dining table, there are two beautiful glass lights, reminiscent of Waterford Crystal. 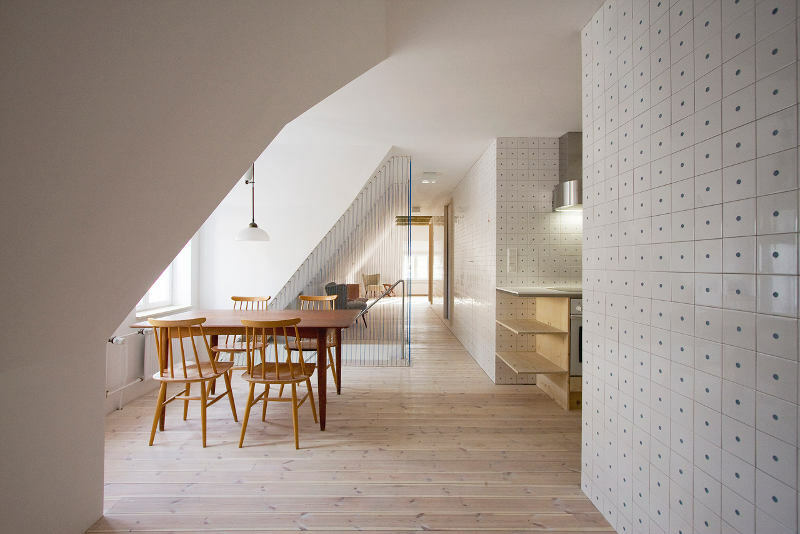 The windows have long, white curtains, and two simple artworks are placed on the wall. 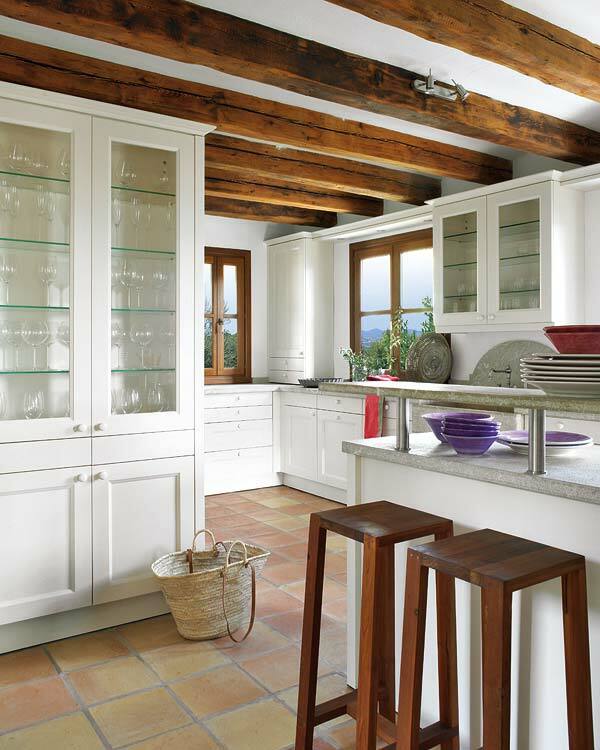 In the kitchen of this rustic house, dark wood stools are placed at the island. All of the cabinets are white, and the countertops and backsplash are gray stone. The bathroom is full of neutrals, pinks, and purples. It has light brown marble countertops, white cabinetry, and built-in shelving. 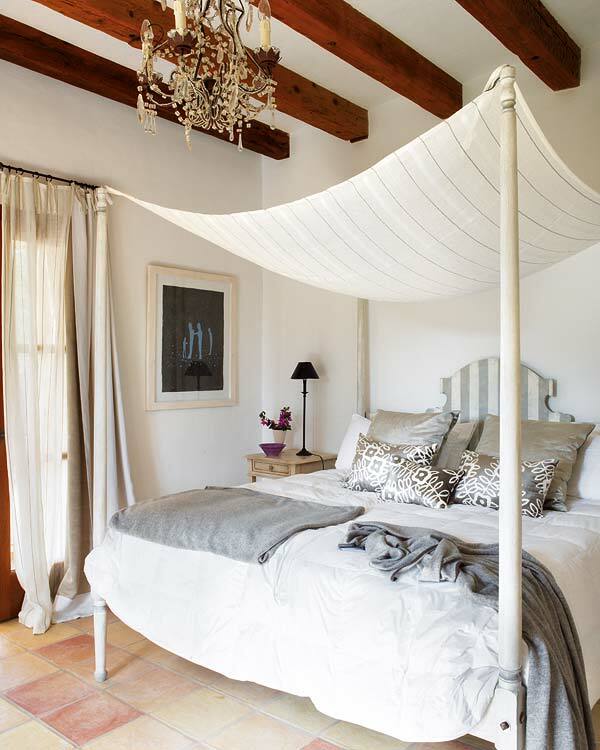 A rustic house that is simple, gorgeous, and radiant.